Why does a laptop overheat...? 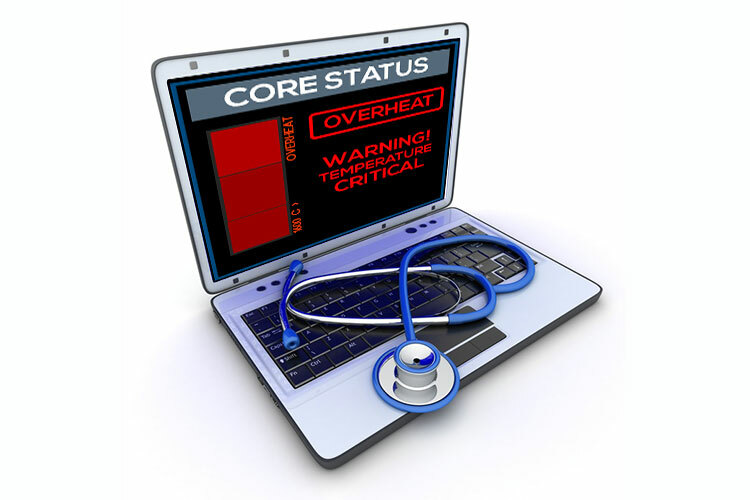 Laptop overheating is a very common problem, there are a few reasons why a laptop overheats, generally the internal fan becomes dusty with a build-up of dust accumulating completely across the outlet blocking the airflow. Sometimes the accumulated dust breaks off in a lump and gets stuck in-between the fan blades causing the fan to stop completely. Other reasons could be the fan has failed; perhaps the fan has been making a noise for some time. There also could a problem with the heat paste which goes between the CPU and heat sink, this may have become dry and no longer effective with its job. At PC FIX we can completely remove the dust and apply fresh high quality heat paste. If the over-heating laptop is brought into our workshop in the morning we possibly could repair the same day.